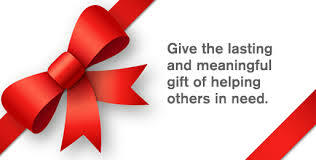 Looking for a way to give this holiday season? Every year Healing Alternatives adopts a family in need through Children's Home Society. If you or a loved one are looking for a way to give, we are accepting Target and Walmart gift cards on their behalf. Or, if you would like to, feel free to bring gently used items or new gifts that match the below descriptions. All donations need to be at Healing Alternatives by December 18th. Traveling for the Holidays? Need a quick immune boost? We are offering an immune trifecta! This combination will give you the immune support needed to fight of colds and flu while traveling and keep your energy high through the holidays! Vitamin D has a remarkable role to play in your health, influencing nearly 3,000 of your 25,000 genes, and playing a critical role in your immune response. For the holidays, we’ll be carrying OBVITA natural skin products. For awhile we’ve been looking for a skin care line we could put our faith in and we’ve found it. Cosmetics and face care are typically filled with chemicals that are known to be dangerous to us and our health. Our skin is our largest organ, absorbing everything we put on it. The old adage says, “If you can’t eat it, don’t put it on your skin.” All though that’s a lofty goal in this day and age, OBVITA skin care gets you there! Check out the ingredients to their Tangerine and Rosemary cleansing formula! We will let those ingredients do the talking! How fabulous. ;) For the holidays we’re going to carry gift baskets as well as some full sized items. Watch for them soon!